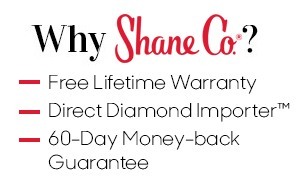 Gift Ideas for March Birthdays - Shane Co. 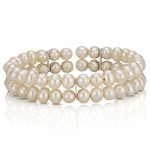 When thinking about picking out a birthday gift, I like to find things that are unique and personal to the person who will be receiving them. 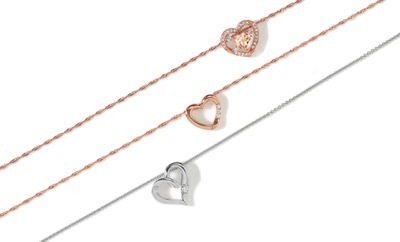 In the case of March birthdays, there are many beautiful jewelry options. 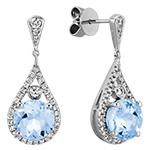 The traditional birthstone for March is aquamarine, which has a gorgeous light blue hue. 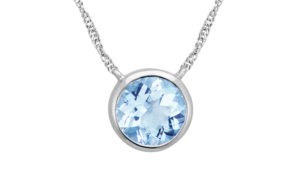 One of my favorite pieces is this necklace in white gold with a round bezel-set aquamarine. 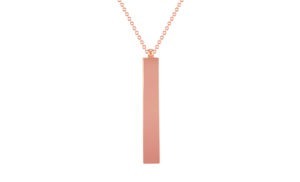 It is a beautiful but simple necklace that can be worn for all occasions. 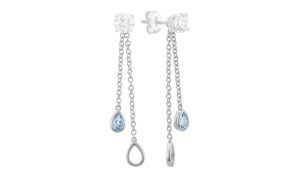 If you’re shopping for the girl who loves her studs, these dangling earring jackets with pear-shaped aquamarines are sure to be a hit. They can be added to an existing pair of earrings she already owns, giving them a whole new look! 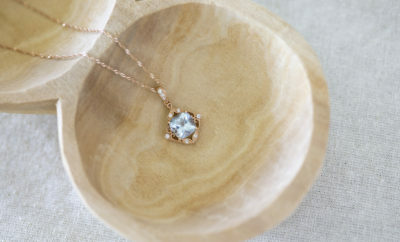 If aquamarine is not quite right, a piece with Kentucky or ice blue sapphires may do the trick. This gives you a little more choice in color, but you will still stay within the blue family. 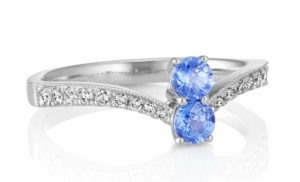 This white gold two-stone ring with ice blue sapphires and diamonds is stunning and she will love showing it off. 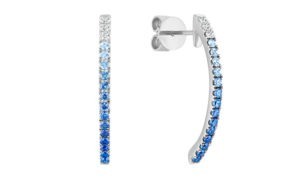 If you want to go the extra mile, these curved bar earrings showcase diamonds, plus light and dark blue sapphires. They are perfectly on trend! If she does not already have London blue topaz in her collection, now is the perfect time to add this gorgeous stone to her wardrobe. Its dark blue color will really pop and give her outfits standout color. This simple and chic pendant has a gorgeous checkerboard cut London blue topaz stone and is an affordable gift she will love opening on her birthday. 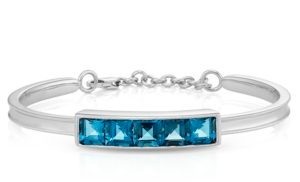 If she loves stacking bracelets, this princess cut London blue topaz bangle bracelet will give her arm candy collection a vibrant splash of color. If the birthday girl already has a lot of blue jewelry, you could opt for one of our many engravable pieces. 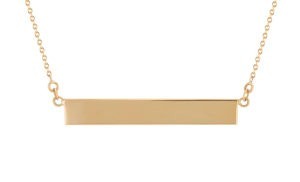 Our top-selling gold bar necklaces in white, yellow or rose gold are lovely choices. 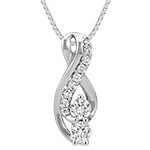 You can engrave her name, initial, birthdate or a special message. 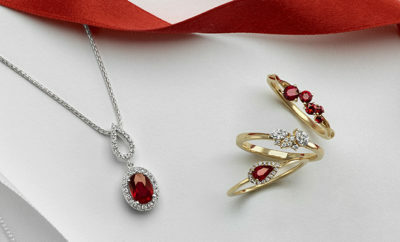 To shop more jewelry gifts for March birthday girls, visit ShaneCo.com. Casie started working in the Kansas City store in May 2015. As a Customer Service Associate, she is responsible for making sure customers have a pleasant shopping experience from start to finish. Her favorite thing about working for Shane Co. is the “One Team, One Company” culture. In her spare time, Casie enjoys playing and coaching volleyball.